Today's reader space is the story of how less is more! 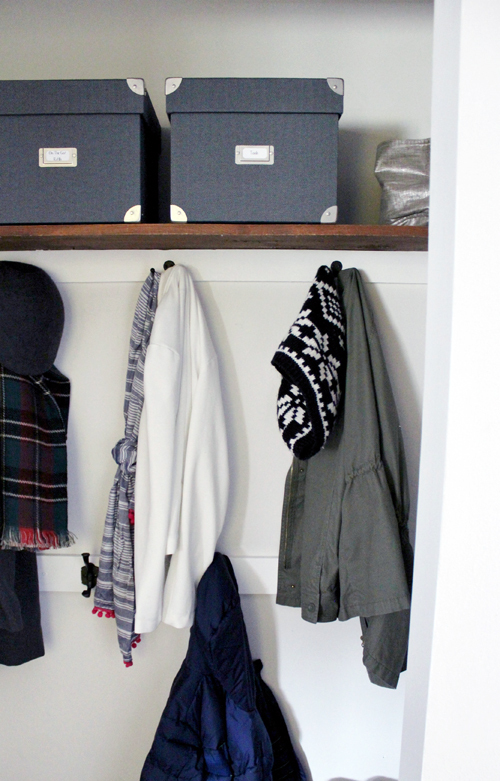 Sweet and simple coat closet storage at its finest! I have been checking in on Deme's blog, House for Five, for a few years now. I love her style and approach to working on her home. In fact, she has made quite a few appearances around here over the years as well. What struck me about today's coat closet project, is that her before image looked just like a hundred other entryway closets I have seen. Underutilized. Another thing I loved is that with some very simple updates, she was able to make a HUGE difference in how her family utilized the closet. Here she is now to talk about how a little rethinking got her a long way! 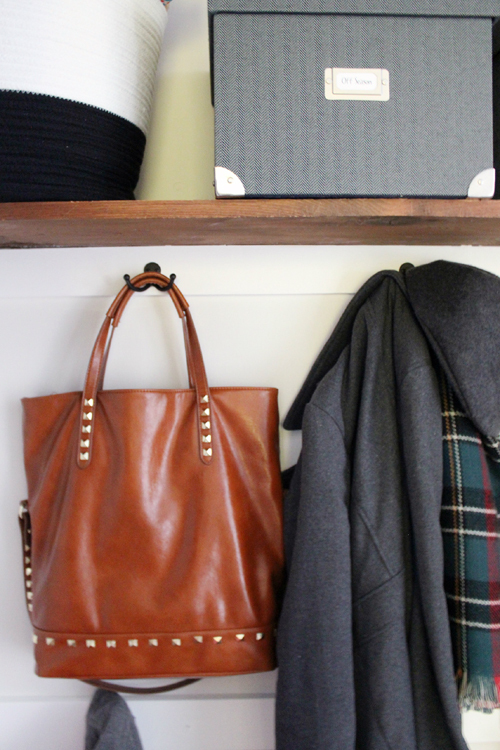 Any superstar tips for keeping your entryway closet organized? "Take the time to build new habits. The kids were used to tossing their stuff onto a pile and going along their merry way. It took awhile to teach everyone to use the new system, but after a few days and consistent reminders it was like second nature. The other key for us has been to keep evaluating and tweaking. We had a pretty solid plan going into this project, but once it was all set up we found that all the smaller winter items like mittens, scarves and hats were still littered all over the closet floor. The simple addition of some wire baskets quickly solved the problem. We also have to give it a regular purge and return any rogue sweatshirts and ball caps to the bedroom closets." "Hooks, hooks, and more hooks. The biggest issue with the closet's old layout was the single rod for hanging clothes that was beyond the reach of our little ones. Anyone who couldn't reach a hanger just chucked their gear onto the growing mountain of the closet floor. It's amazing how effective the addition of a second row of hooks at kid level has been for us. The kids have plenty of room to hang their coats and bags, and they don't need our help to take care of their belongings. The lidded boxes on the top shelf were also a game changer. One holds off-season clothing items, another holds on-the-go items like sunscreen and various refills for the car (wipes, hand sanitizer, etc. ), and the third holds some of our most frequently used tools (tape measure, level, hammer, etc.). Having these items contained but accessible has been fantastic." "Originally I had grand visions of wallpaper or a bold wall treatment for this space, but I realized our gear had plenty of color and pattern on its own and didn't want anything too distracting. So, we carried the same wall color that's in the rest of our entry and living space (Irish Mist by Behr) onto the closet walls. We gave the trim a fresh coat of crisp white paint, and we left that lovely natural stained wood shelf for some warmth. I shopped the house for storage items and containers that were easy on the eyes and in the end we ended up with a great mix of open and concealed storage." 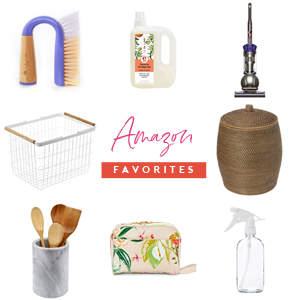 What items did you DIY to stay on budget? 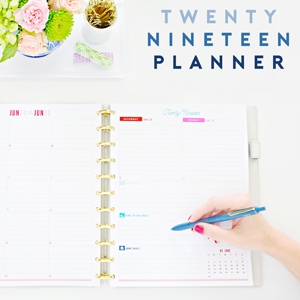 "This was a pretty simple DIY project that's easily doable in a weekend. All it took was some minor demo, a little patching and painting, and few pieces of trim. All things my husband and I knocked out together." "This small corner does a big job for our family. Before we could never find what we needed and there was a lot of frantic scrambling as we tried to get everyone out the door. Important things were lost in the abyss and there was a lot of junk taking up precious space. 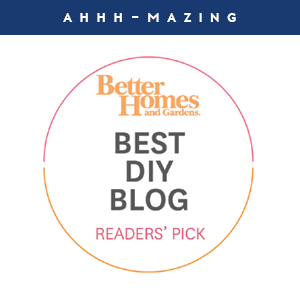 Clearing out this closet and a few minor changes to make this space actually work for our family's needs has made all the difference in (mostly) smooth goings and comings from our home." How about a side by side view? I have always been a lover of hooks. In fact, I have rails of them all over our home. They are especially fabulous when kiddos are involved. It is so much easier for them to hang items on hooks. 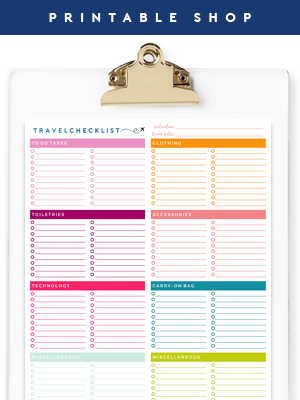 Use them in the entryway, their bedrooms and even for their towels in the bathroom. You will be glad you did. 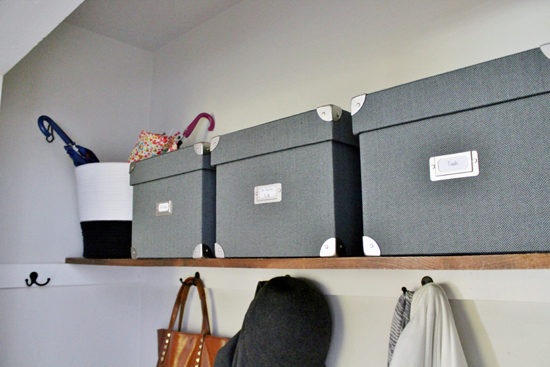 Adding matching boxes creates a whole new visual impact to the closet. Not only is the clutter concealed, but things will be much easier to find in the future. Deme painted out the closet so it would flow seamlessly with her home. It is always a giant win to paint your closets. I mean it, the odds are in your favor, you really can't lose. Deme added trays to protect those floors! Smart move because winter is gross. By removing the closet doors, her entrance most likely feels much more grand! Another reason why I love to do this? Removing doors holds everyone so much more accountable to take care of the area. Now if someone were to toss something on the floor, it will get seen much quicker! As much as I love a pretty wall treatment or fancy wallpaper, I think it is great that this project really came down to removing doors, painting, and installing hooks. Visually, Deme was right that less is ultimately more! Those little hat and mitten baskets! So, so cuuuute! And practical, but did you see how cute they are? Her family can easily maintain the new space, and their days are now running smoother! That is always my favorite part! 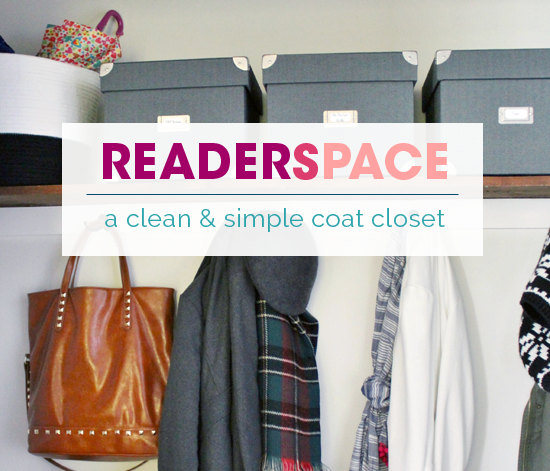 You can read the entire story behind the coat closet transformation over on Deme's blog here. A huge iHeart thank you goes out to her for sharing a sweet and simple transformation that anyone can feel confident taking on! It is posts like these that make me side eye my own closets! I agree taking the doors off in this case was a good idea. Bifold doors can be difficult for little ones, make dead zones behind them, and tend to be left open anyway, making it look messy. I left my door on though for a few reasons: it's a single swinging door, there's a door sensor for an overhead light to go off and on, and I needed the organization space the door provided in my closet that's half the size of the example. Plus, my husband really is bothered by "stuff" no matter how organized. The inside of the door is where I added kid level hooks, baskets, and even a mirror from kid to adult eye level. This gives the kids their own space to be responsible for, keeps things off the floor, and really empowers them to ready themselves before leaving the house. Tidy and teaching! Looks lovely! I nee several face lifts like that. Oh my goodness, that is brilliant! I would have never thought to take out the hanger bar entirely and switch it out for hooks, but that makes perfect sense! Our hallway closet could use an update like that!! Ooh lovely, we have a space this size and it's a constant battle to keep it neat and tidy. I find it's my husband who's the biggest culprit, never mind the kids!! Great idea, but what to do with the other 2-3 pairs of shoes for each family member and the extra jackets. It looks lovely and so chaos free, though. Nice. Cute! I love how organized it is! Good article! 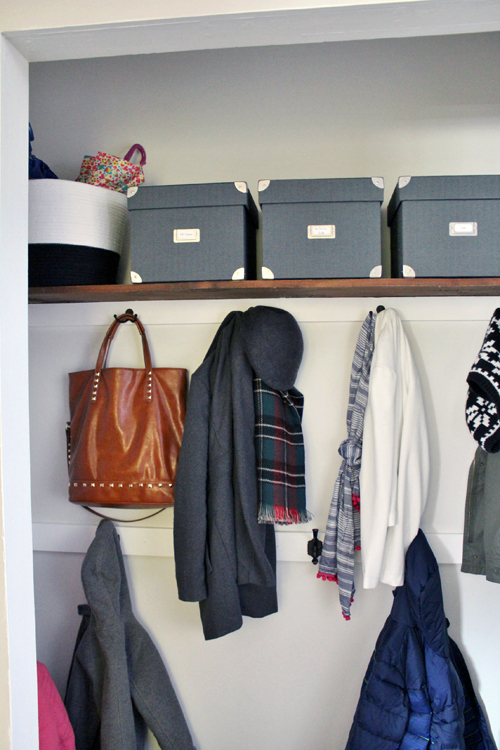 An organized closet of any kind helps minimize the time you're looking for things to wear! And don't forget to throw out that junk! If you haven't worn it or used it in a year, you probably never will! 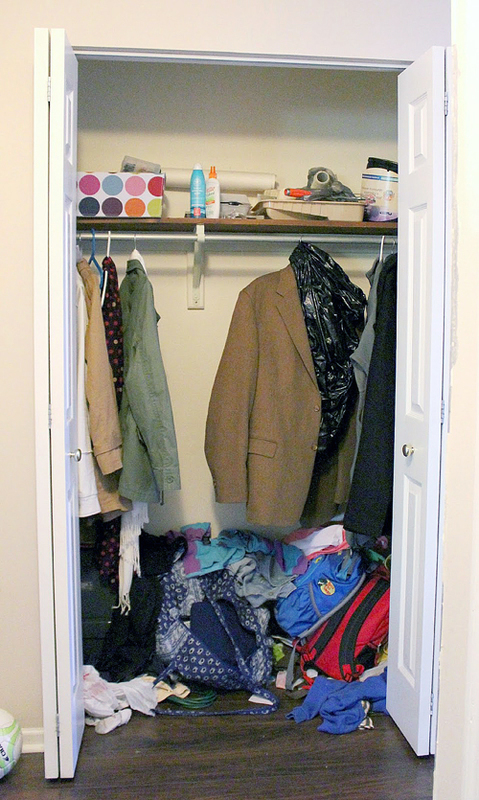 I am Deme's cousin and I just visited her and saw the closet! It looks as great in person as it does in the photos and the kids really do use it well! They have a shoe cabinet for extras on the opposing wall. Deme has inspired me so many times to declutter and add more color to my life. She's the best! This is exactly what we did in our coat closet recently (we call it Mudroom nook), for basically the same reasons. 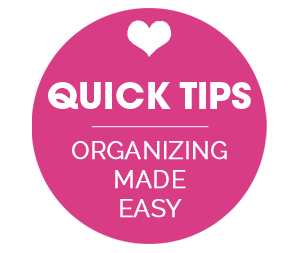 Agree on keeping it simple, streamlined and efficient. We also added a bench which I LOVE for dropping my purse/mail on while I am taking my shoes off. 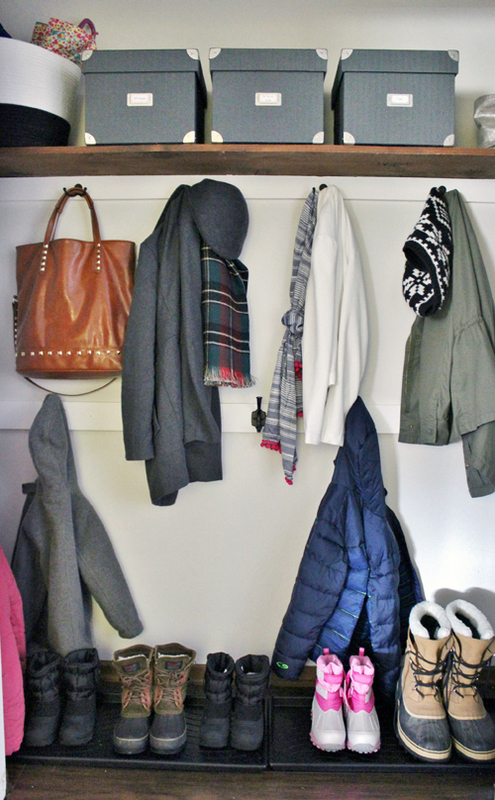 Anonymous, we keep the extra clothes and shoes in the guest room closet (our off-season storage) so there is only the minimum of currently used clothes and shoes in the coat closet. Love the before and after photos! I recently just re-organized my closet. I find that those $10/2 bins at Target (in the closet section) work wonderfully above the closet to just hide eyesore items. I have a question that is totally unrelated to today's post: Where do you keep the boys' snow pants? I know ya get a ton of snow in WI, as do I in MA! I love the hook idea and the fact there there is two heights. I love this especially the ideas of taking off the doors! Stunning! I really like the addition of the wire baskets for ad hoc items like gloves. They also look good too. Love the reminder of why hooks are the best! Looks great Deme! Fab transformation. 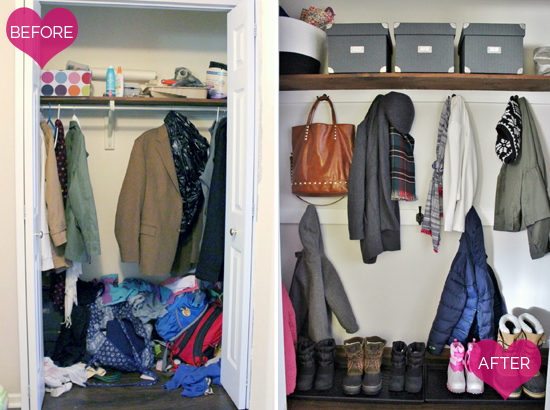 Thanks so much for sharing our closet here, Jen!! It's definitely made getting in/out of the house a whole lot easier. And keeps the clothes trail at bay. I am inspired by this as I am moving on Sunday in to a new apartment and it is a blank canvas with lots of closet space. Thanks for sharing! Love this! 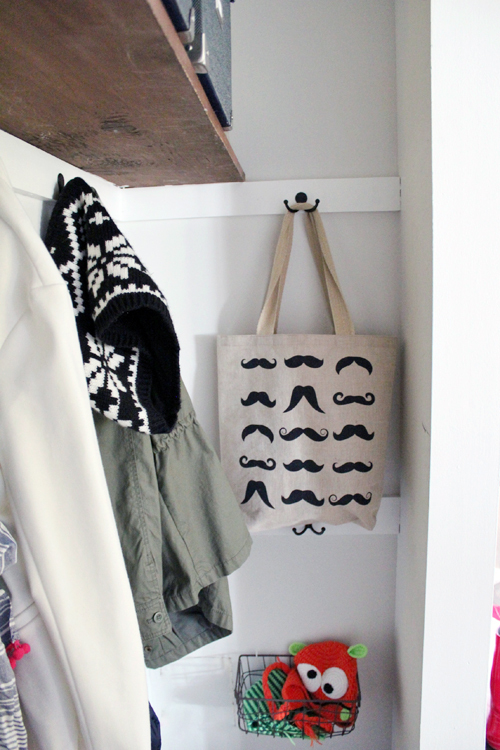 & the use of hooks gives me a good idea for our coat closet!! I love the little side bin. That space is usually unused and you can store so much in it! Thank you for sharing!! I love your blog and use many of your tips around my own home. Thank you!